Amazeballs!!! What! 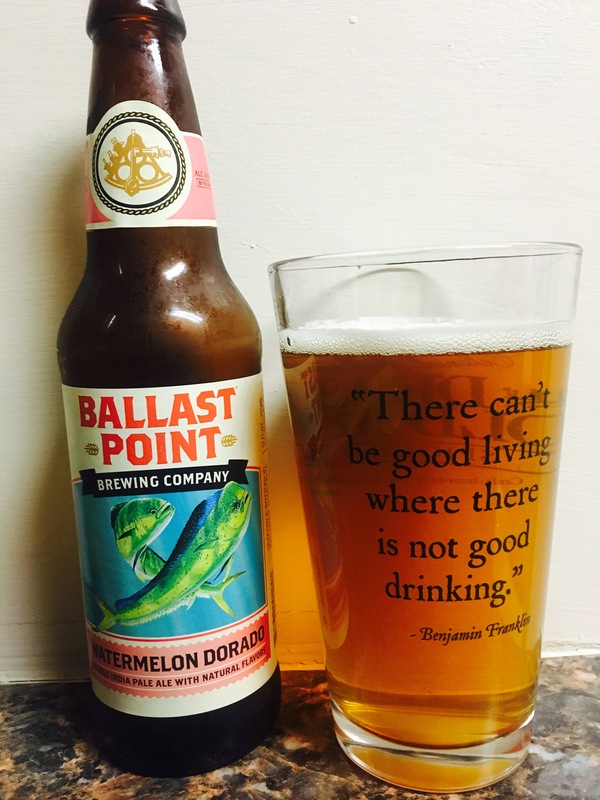 I thought I had already found a great watermelon beer but boy was I wrong. Ballast Point just upped the ante. They have a 10% Alc content on this incredible beer. It has the smell and taste of a watermelon jolly rancher mixed with a delicious beer. AMAZEBALLS!! This beer is a little expensive at about 14.99 a sixer, but it’s worth it! 5 stars! If you don’t get it, we will! This beer is a great brew best served ICE cold. Loved it and the 10% abv is smooth with the polish from the watermelon flavor.